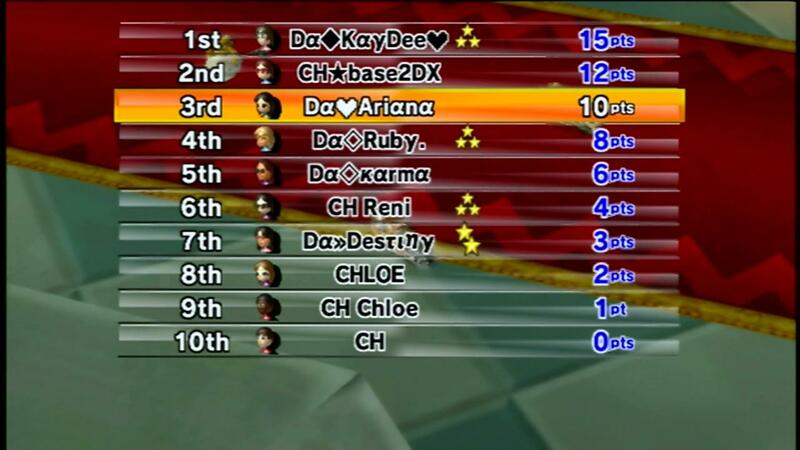 -We did 3 races then both our team and their team forgot to take a pic after they reset the room for a D/C. 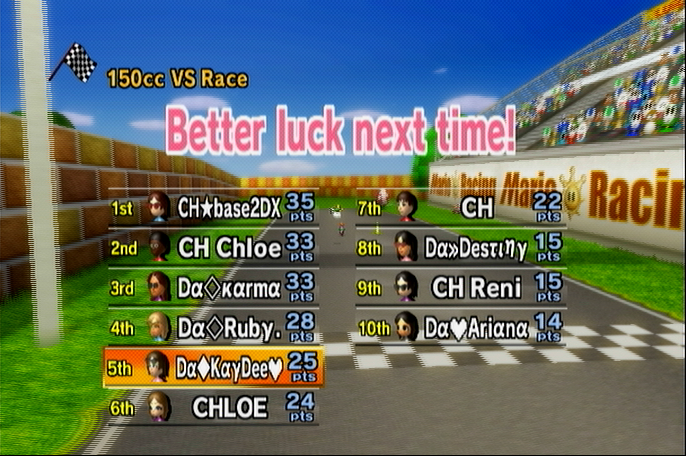 We wound up having to do GP1 again, but that worked out in our favor. 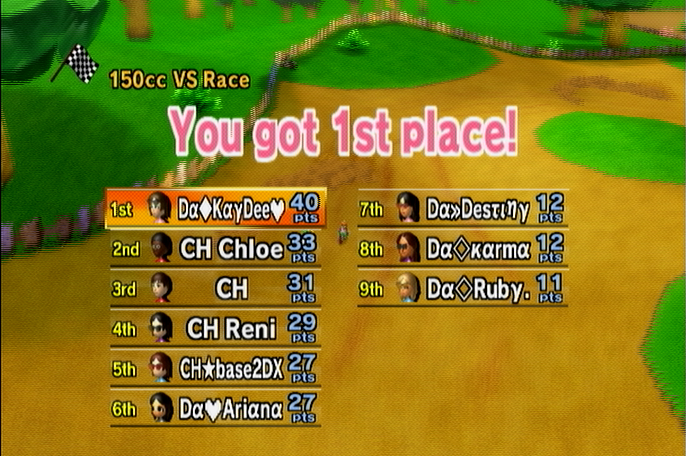 -After redoing GP1, someone D/C'ed so we reset, did GPs 2 and 3, and then did the last 3 races of GP1 at the end. 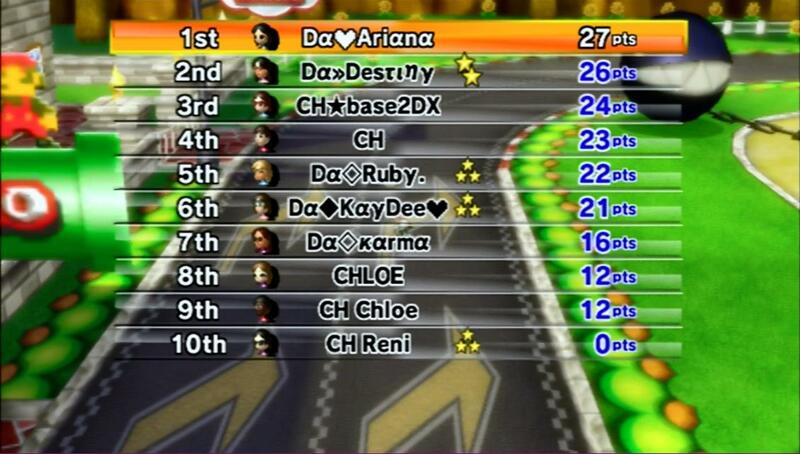 -Chloe D/C'ed GP2, race 3 with 11. They missed 1 race so they get +3 and wind up with 14 points for the GP.